What else can be said about classics besides, well, they are classics? These are books that are part of the long tradition of trying to unpack 400 years of systematic inequality in the United States (and beyond). These are the books that so much of the great contemporary writings were born from. I did not compose this list with a working definition of “classic”--rather, as I looked at each title, I thought about how often I see it come up, referenced, or mentioned in later books or considered how old it is. Some seem barely old enough to be called classics but they have captured the zeitgeist of our world and have been lauded for decades, so it’s hard to say. To me, the value of this list and the reason I continued to add to it is because for many readers, these names are either unknown or known but not read. In spending time with the classics, it has provided me an opportunity to more fully appreciated how many generations of marginalized people have been engaged in this discussion and advocated for equality. There are many that I would recommend first starting with here but that’s, in part, because they are classics. However, among this group, I would have to go with W.E.B. 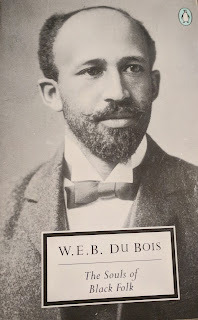 DuBois’ The Souls of Black Folks. In many ways, I see it as a center point in the discourse of race and in particular, as a text that seems to change the discourse. While most popular works prior are about individual experiences (e.g. slave narrative such as those from Douglass, Jacobs, and Northup), DuBois is the first (at least that I’m aware of) that is opening up the discussion of race and calling out the structural inequalities that permeate the American landscape at a time when the inequalities are carved more substantively into the legal codes of the country (i.e. segregation).